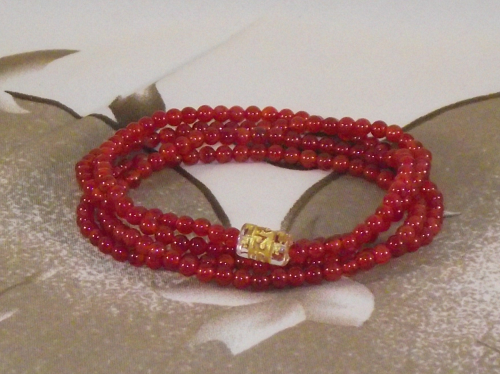 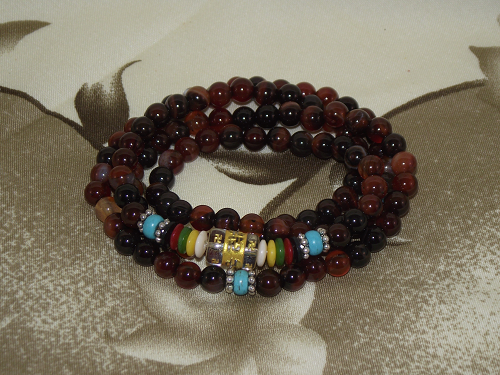 108 bead mala with Garnet and Red Carnelian gemstones, and a Buddhist mantra bead. 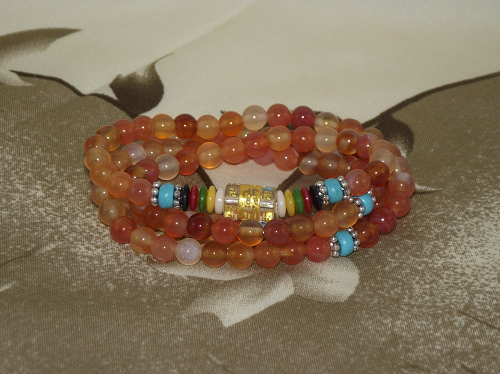 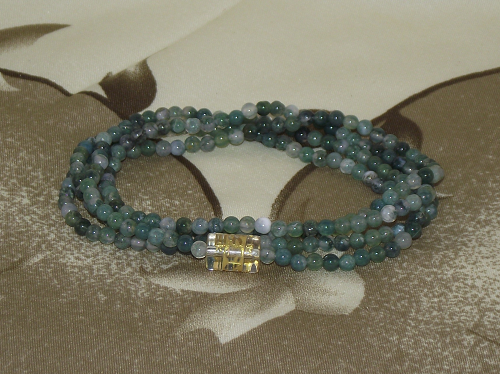 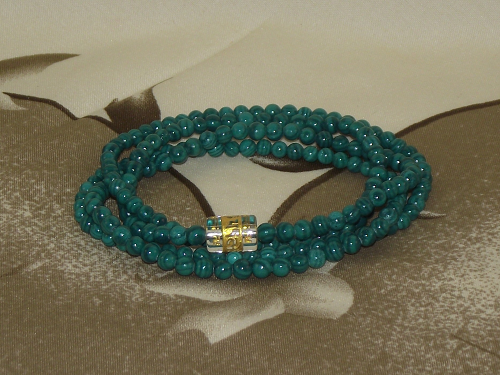 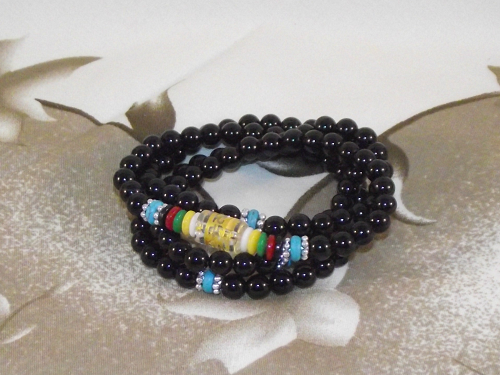 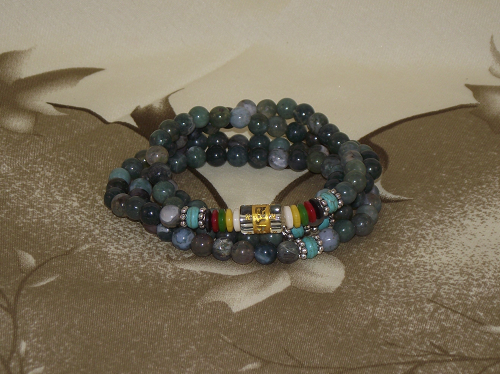 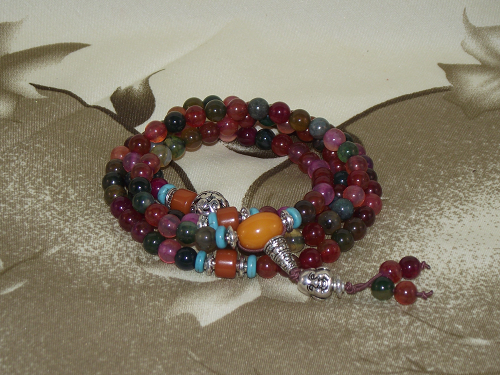 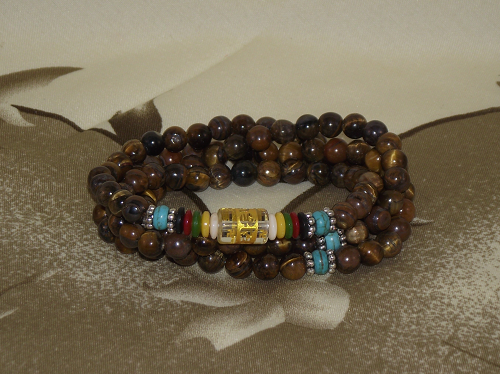 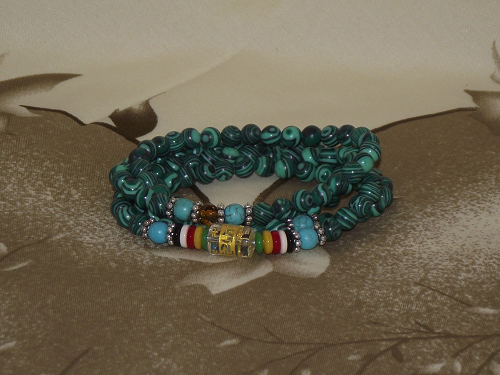 The wrist mala has silver end pieces, and a single sparkling 6mm faceted crystal. 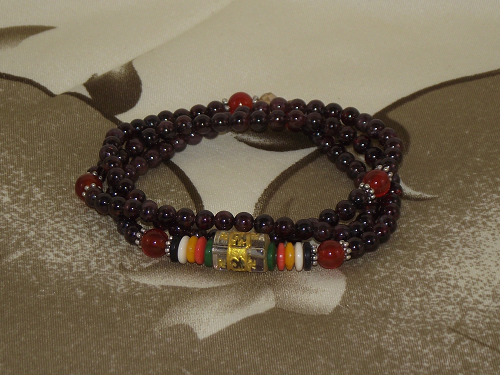 Garnet is a beautiful gemstone believed to symbolise courage. 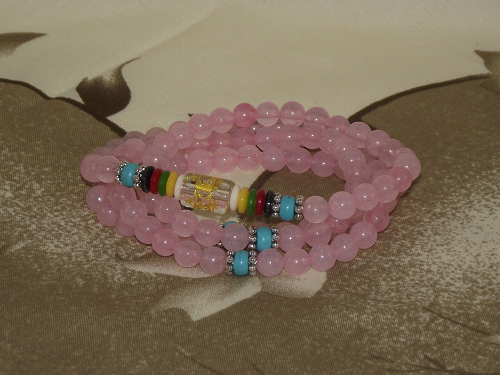 It is also said to dispel negativity, and provide strength during difficult times. 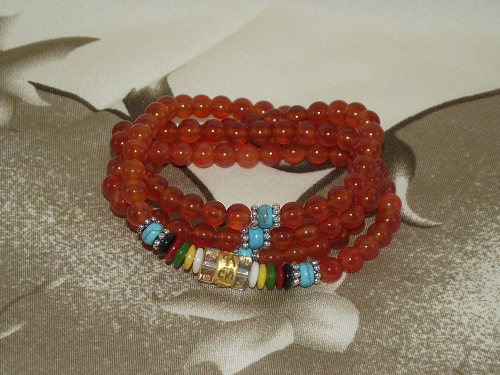 Carnelian is a semi-precious gemstone, and a protection symbol. 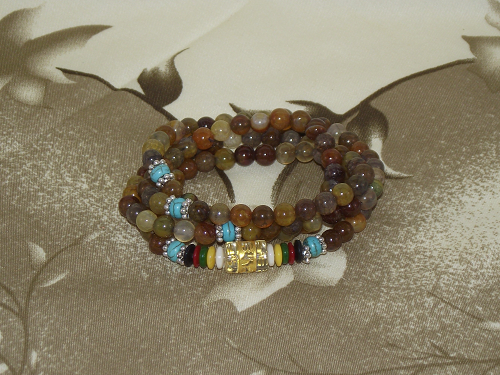 It is said to represent endurance and courage, and to attract prosperity.